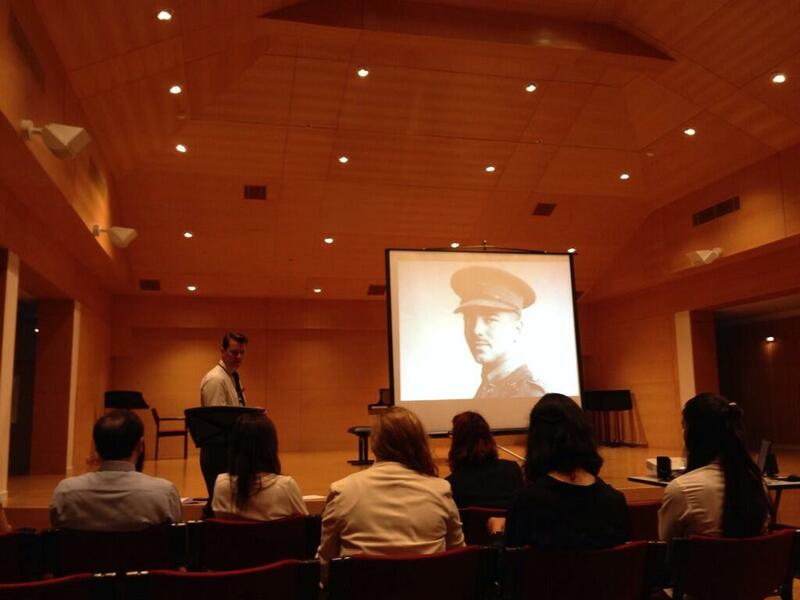 In early November I spent a week working at Shrewsbury International School in Bangkok, Thailand helping explain many aspects of warfare on the Western Front from 1914-1918. In particular, my task was to enhance and deepen students understanding of the war and the impact it had on individual soldiers, society and the implications for the wider world. I was also keen to show the importance of detailed historical study by using examples of my research. One special request was to hear of our archaeological and genealogical work at La Boisselle as an example of specific, detailed research. During a fascinating week I spoke to 800 students from the Year 6 Juniors through to A Level students in Years 11 and 12 (KS2 – KS6). The majority of my time was spent working with students and staff in the History Department. Subjects ranged from my role as a historian through to elaborating on some of the archaeological projects I have been involved with over the past few years. A recurrent topic was our archaeological project at La Boisselle. However, my main task was to provide a basic understanding of a ‘typical’ British soldier on the Western Front. Beginning with the enlistment process I was able to provide details on uniform and kit and training in the UK before deployment to France. From the first experience of going into trenches I elaborated on daily trench routine, food, ration parties, medical arrangements and working parties. Whilst the majority of time was spent working with History students I also spoke with those studying English. The curriculum covers the works of Wilfred Owen and I was asked to put his experiences and poetry into some form of context within the war. I was aided greatly with this by my work over the last year on an upcoming BBC Two television programme ‘Writers of the Somme’ which tells the story of the battle through the experiences and words of the poets and writers who took part. The highlight of the working week was speaking on the theme of remembrance to 650 students in the Senior School assembly. During my week at Shrewsbury International School I was enormously impressed with the children’s enthusiasm, grasp of the subject and inquisitive nature and desire to find out more. “During the week, Jeremy spoke to over 800 students ranging in age from 11 – 18 years old predominantly about aspects of the First World War needed for their studies. He was able to describe in detail the day to day routines of soldiers and their officers, the brutality of war and its legacy. His detailed knowledge of the topic and individual soldiers stories meant he was able to personalize the experiences of the men and their families. Jeremy also spoke in detail about the ongoing project at La Boisselle which was fascinating and incredibly moving. 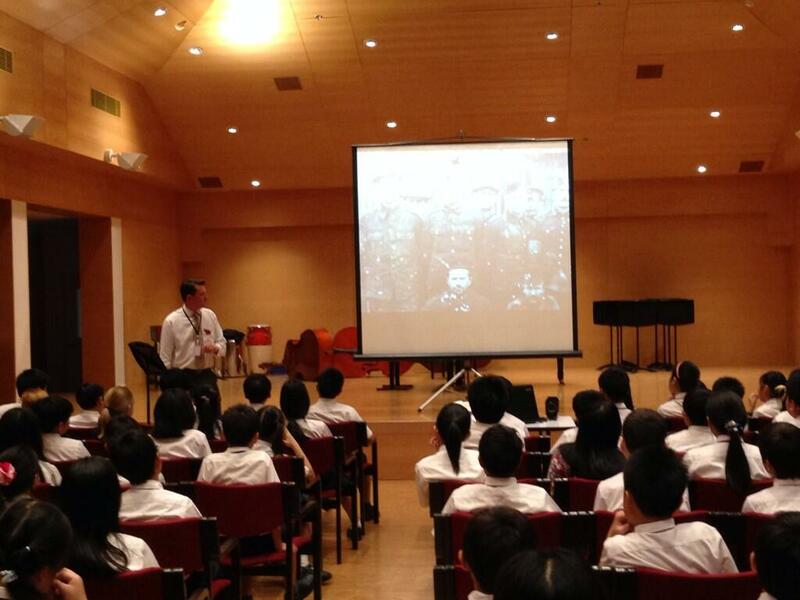 Many of our students thought a First World War military historian would be old and boring. Jeremy certainly rapidly dispelled this idea by describing how he had worked in a number of jobs before following his passion of military history, how he researches for television companies and for families from all over the world with relatives that served in the war. The interest created amongst staff and students alike was astonishing and testament to Jeremy’s deep subject knowledge, sensitive, professional delivery and approachability. His visit helped enthuse a new generation to the importance of history and how valuable and rewarding military research is. Our students undoubtedly gained a huge amount of knowledge and, most importantly, a deeper and more empathetic understanding of the First World War. After a week’s work at the school I spent the weekend based at Kanchanaburi on the Thailand-Burma Railway (Death Railway) visiting the war cemeteries, exploring cuttings in the jungle and looking into tragic events of another war. My ten days away was challenging, exhilarating and deeply moving. My sincere thanks to students and staff for their help with the week. I am already looking forward immensely to my return to Bangkok in the autumn. 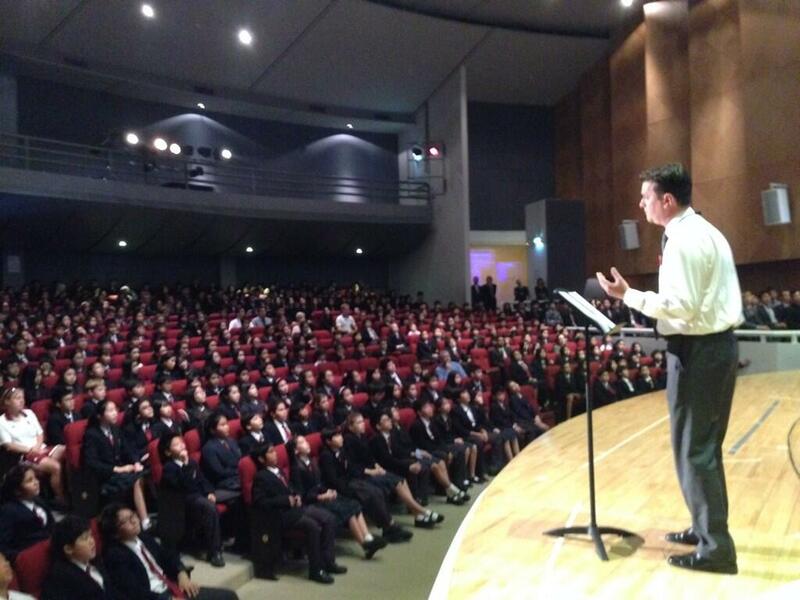 I provide a variety of talks and workshops for schools. 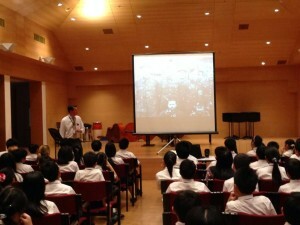 Please see my dedicated page for further details: http://jeremybanning.co.uk/schools-talks-and-battlefield-visits/.